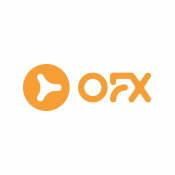 To help our readers when arranging their international transfers, we partnered with OFX - the most convenient, secure and transparent way to send money overseas. Whatever the reason for your international money transfer, be it financing your international mortgage or buying that dream classic car, here are a few simple tricks to help you save when sending money abroad. OFX invariably offer much better rates than the banks. And we're not the only ones to think so. Here's a couple who say using OFX has saved them thousands. Moving abroad is a fantastic adventure, but it definitely isn't cheap. Aside from the big costs of finding housing and transport, once you get there you have a whole new set of costs to cover. So how can you make sure that every penny counts? Transferring money internationally is now even easier! Good news—our currency partners OFX have reduced the minimum deal size for registered users, so you can now transfer amounts as small as £100!